The PlayStation Network is currently experiencing issues affecting all PSN services, including online multiplayer and the PlayStation Store. Luckily, Sony is currently investigating the issue (as of 5:14 pm GMT), but the downtime is sure to disrupt your Friday evening gaming session. Sony has revealed that routine maintenance and improvements for PlayStation Network will be performed later this week, taking the PSN offline for approximately 2 hours. The maintenance will take place between 23rd June 2016 at 6:30am BST until 8:30am BST. Sony has announced that the PlayStation Network will be undergoing scheduled maintenance on Wednesday, 25th May 2016 for approximately 2 hours. For those in the UK and Europe, the maintenance window will be begin at 5:30am BST, and end at 7:30am BST. The PlayStation Network will be undergoing scheduled maintenance on the morning of Thursday, 3rd March 2016 for approximately 2 hours. The maintenance will take place between 5:30am GMT and 7:30am GMT, which won’t affect many gamers in Europe, but will hit gamers in North America, especially those on the West Coast. We’re only a few days into 2016 and already the PSN is experiencing issues. A message on the PlayStation website stated that the PSN would be unavailable between 4:30pm to 5:30pm GMT, but it’s now well past the maintenance window and the network is still down. 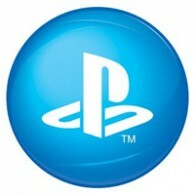 Sony has announced that maintenance is scheduled to take place next week for approximately 2 hours. 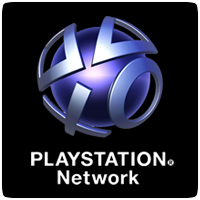 The PlayStation Network and associated services will be unavailable between 04:30 GMT to 06:30 GMT on October 14th 2015. In North America, this maintenance window falls on October 13th 2015, between 21:30 PDT to October 13, 23:30 PDT. Sony has announced that scheduled maintenance on the PlayStation Network will take place next Monday / Tuesday, mainly affecting North America gamers. The maintenance will take place on Monday, June 29th, from 9:30 PM to 11:00 PM Pacific Time (12:00 AM to 2:00 AM Eastern Time). The PlayStation Network will be going offline for scheduled maintenances early next week for a total of nine and a half hours. The maintenance window begins at 2:30 AM GMT / 7:30 PM PDT on Monday, 11th May 2015, and finish at 12:00 PM GMT / May 12, 5:00 AM PDT on Tuesday, 12th May 2015. Sony’s maintenance page has revealed that the PlayStation Network will be undergoing scheduled maintenance on Monday, 23rd March 2015, for approximately 2.5 hours in the evening. The maintenance will begin at 16:00 GMT and last until 18:30 GMT. Sony has announced that the PlayStation Network will be undergoing scheduled maintenance this Thursday, 12th February 2015 for approximately three and a half hours. The maintenance will begin at 5pm GMT / 9am PST and will last until 8:30pm GMT / 12:30pm PST.